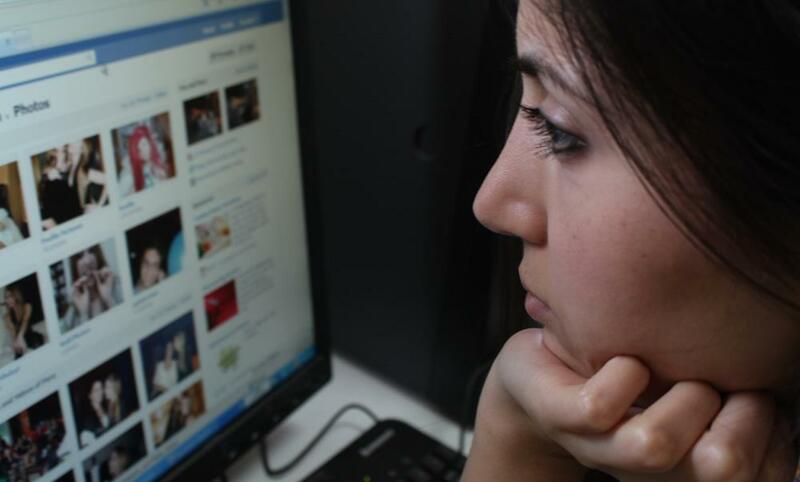 InterActiveHealth Recent Blogs Does Facebook Cause Depression? It is hard to imagine a social internet site being anything but good, helpful, and a way to keep connected. But we are seeing a lot of fallback, Depression, and other problems from places like Facebook and other online social media sites. A question that must be asked: Does Facebook cause depression? This isn’t to say that Facebook is bad, or anything close to that. But, what is being said, is that Facebook allows others to see you quite personally and for you to see them equally as personally. And maybe in some cases, this is too way too personal. In a world where social media is becoming the norm, consider how influential it has become. How many high school students, college students, professional workers, and stay-at home moms are using Facebook? And this is only a small statistical number of those using social media to keep the world up-to-date on what you are doing. What if your ex-boyfriend just posted some embarrassing pictures of you just days after you broke up. What if you found out your spouse was cheating on you by a Facebook post. Some people are so obsessed with Facebook that they are constantly checking their friends posts and updating their own profile. And again, this isn’t necessarily a bad thing. But what happens when something is overdone or done out of malice. We all get passionate or angry after a certain volatile situation arises and sometimes we’ll post something on Facebook that we can’t get back. It can be deleted but maybe not before the damage has been done. Often we are more bold on Facebook than we would normally. But the regret, quilt, and something horror of what we’ve said can stay with us for a long time. Research is showing that as many good things that Facebook brings to the table, there are that many horror stories, problems, and even predators that are using Facebook for other reasons. Depression because of Facebook is a real issue. Things happen so quickly and mistakes are difficult to be forgotten. Facebook is often used as a measuring stick. Teenagers, often compare boyfriends/girlfriends, Facebook friends, vacations, activities, house sizes, families, clothes, valuables, and almost anything you can think of. Facebook makes it much easier to compare. This comparison is causing some doctors and pediatricians to push for a family discussion on what Facebook really means. Facebook shouldn’t be a popularity contest but that is exactly how most people look at it. Depression is something that children and adults deal with on a regular basis. Depression can be a life long problem or something that is created because of a situation. Facebook has done great things, let’s hope that this isn’t lost in all the shuffle. It has reunited lost families. It can protect against bullying and hundreds of other things. It really has helped people to even avoid depression in some cases. Maybe you or a friend has received a message from a friend that really picked you up. Maybe that small little kind note or the knowledge that someone else was thinking of you really helped. But there is another person who just heard a mean message that did exactly the opposite. Certainly Facebook is not the problem. It is more like a catalyst to a problem. Sociologists have found that there is a correlation to time spent on Facebook and Depression. In many cases, the longer individuals were on Facebook, the more often they were agreeing that other lives were better then their own and that they had less of a belief that, “Life is Fair“. Parents should discuss openly about Facebook pages and be active in their children’s Facebook postings. Watch out for behavior that indicates that Facebook is overpowering or overwhelming someone. Again, Facebook isn’t necessarily a bad thing. Many people use Facebook without any risks, problems, or depression. But , watch out for those where Facebook is causing depression. 0 Responses to Does Facebook Cause Depression?